Send SMS From Web Interface Kaamil provides a simple to use Web interface to communicate instantly with individuals or groups via your Internet connected computer and browser. The simplest and easiest way to send individualised, bulk Text SMS, MMS, WAP globally! Read More..
WAP Push remains the premier method of delivering multimedia content to mobile handsets in the market today. WAP-Push is similar to MMS. 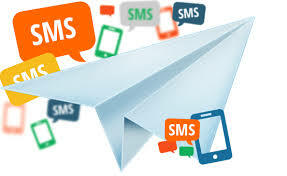 You send an SMS containing a link, which points to MMS-Content on a WebServer. The recipient receives the link, establishes a GPRS connection and gets the content from the remote server by WAP. Delivery of multimedia content via WAP Push still represents a key component of multimedia messaging. As you would expect from an operator driven product, MMS is aimed primarily at peer to peer messaging. In the same fashion as an SMS, an MMS is sent using a store and forward mechanism, whereby the entire message is usually stored at the mobile network operators MMS Centres before delivery. This does not apply to Direct MMS. A major benefit of WAP Push is the ability to send a URL to a mobile subscriber without the need for them to manually type it into their phone.